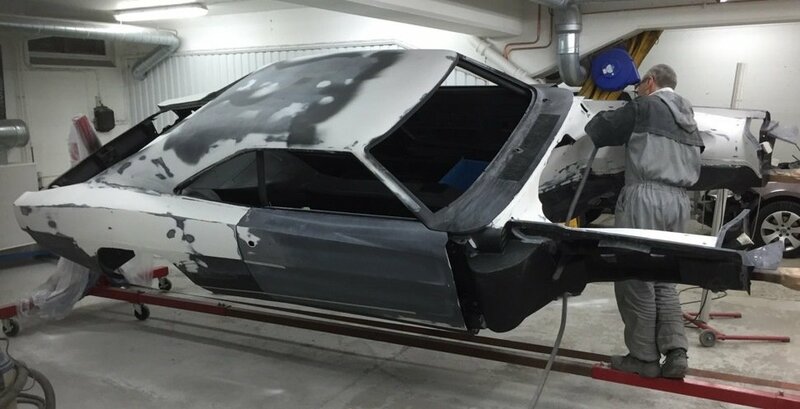 After unveiling the Dodge Charger RTR project at Bilsport Performance & Custom show a few weeks ago it´s now time to crawl back in the garage again. Since then the requests of us attending with the RTR project on different shows and arenas drop in on daily basis. Due to that we feel that we have to announce that the RTR will not be shown again before it´s fully ready. After a few weeks rest since the show we are now planning the last legs of the builds along with partners and team. By that said we are very flattered of the interest of having the RTR on different happenings. But in order to follow this through we need to friendly decline our presence to all of you at the moment in order to give ourselves a fair chance to make it ready as soon as possible. We will announce where and when that will be along with our partner Turtle Wax further on. Even if the car is just barely more than half ready, i feel the urge to really thank everyone involved or supporting me in this so far from the bottom of my hart. You all rock! 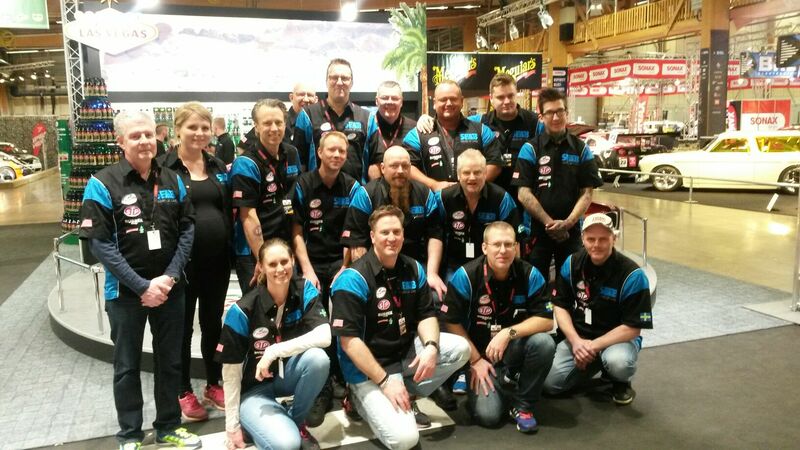 Yesterdays unvailing of the project Dodge Charger RTR “still under construction” would not have happend without my team, friends, sponsors and supporters. Every project has it´s own charm and creates friends and memories for life. My earlier builds as the Viper GTS and the Black Charger -68 was only possible to be reality thanks to all my friends and partners along the line. No one mentioned or forgotten but you all know who you are. 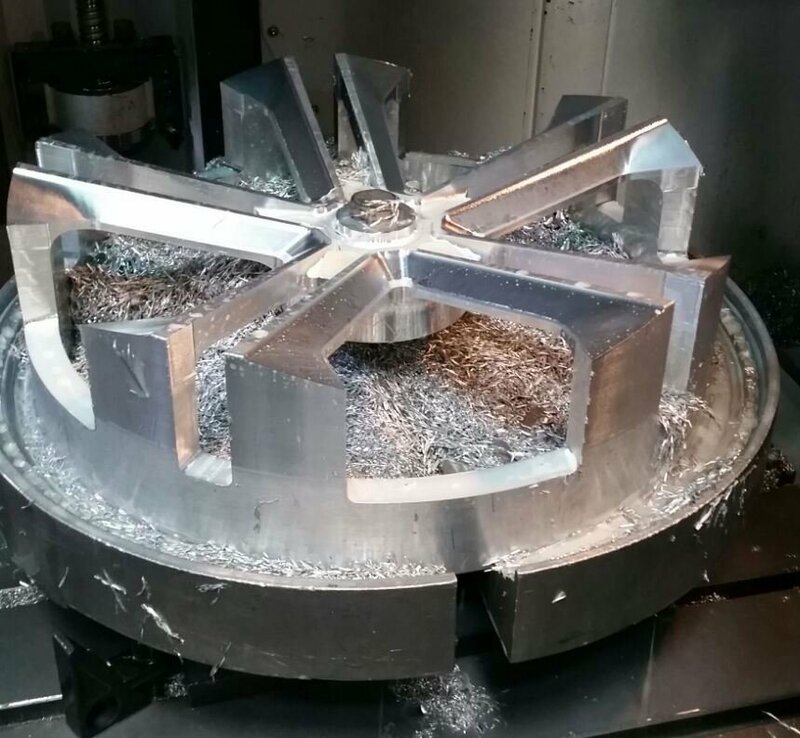 Some has bin involved a way or another in all projects, and some in just parts of one of them. Of cource everyone understands that this is the case also in this RTR project. Regardless your position, amount of work or role in this project, thank you all from the bottom of my hart! This journey with all of you so far in this has bin a blast from the start. This project would never had seen the daylight without you all. You are the best! 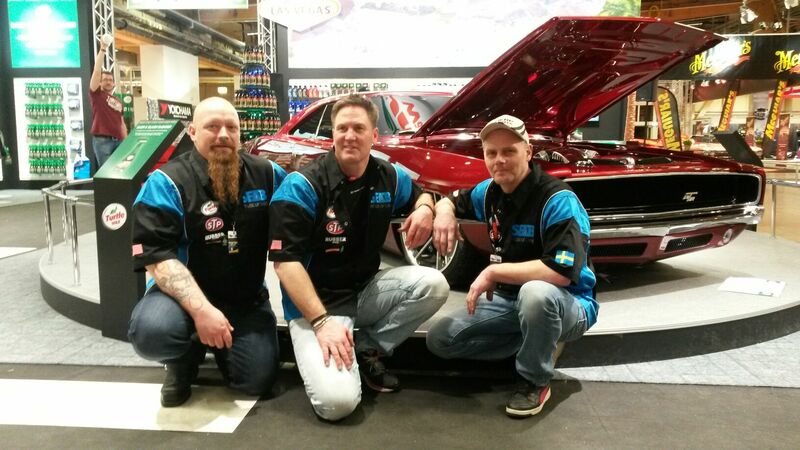 The three musketeers and most central figures in the project Dodge Charger RTR, from left Otto Tillander NOCT, Johan Eriksson Designer, owner and boss, Jörgen Persson Svegs Bil & Plåt. The last couple of weeks my teamleaders and skilled craftsmen above and their co-workers has made a work effort beyond all limits. Still we have a ton of work left do to to get it in the condition we want it to be to meet up with our own branding, the RTR ( Road, Track & Racing). But with this back up everything is possible! 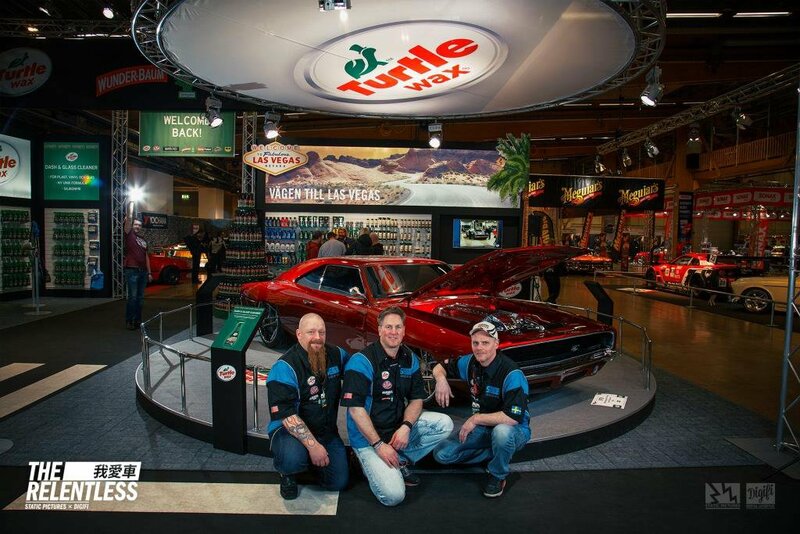 My team and Turtle Wax crew are ready to give you all the details in this build so far in Turtle Wax stand on the car show Bilsport Performance & Custom show at Elmia Jönköping, Sweden this weekend. Welcome to drop by and say high! 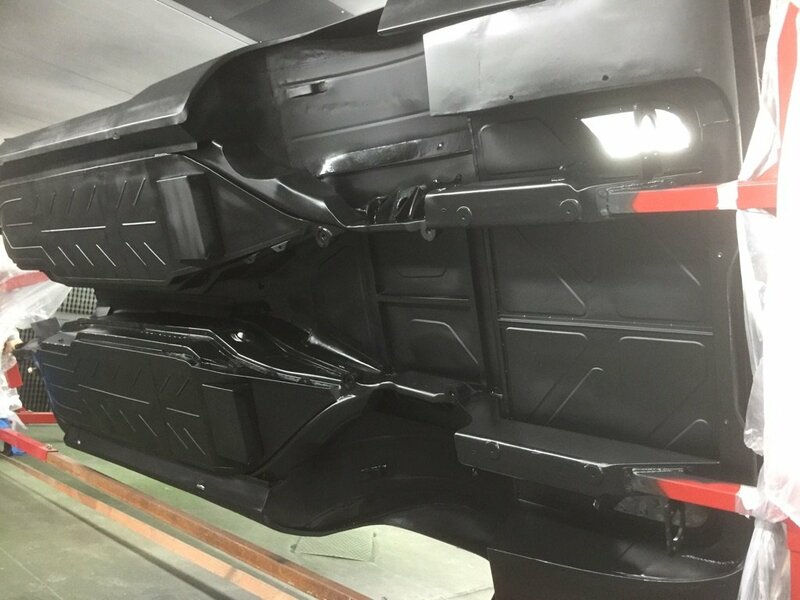 The one and only way to reach goal targets in a build like PbJ Dodge Charger RTR is to design and produce your own custom parts. All with a thought of function behind the design. 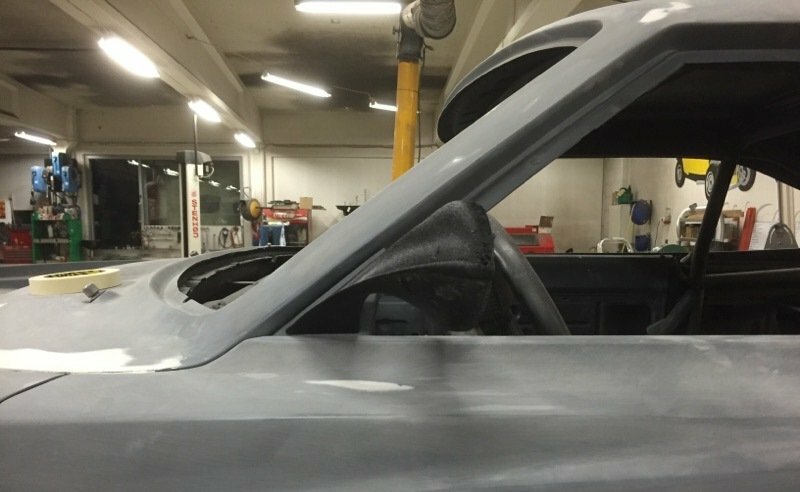 Every car builder regardless level of profession knows that to get from idea to finished product craves different amounts of own development. 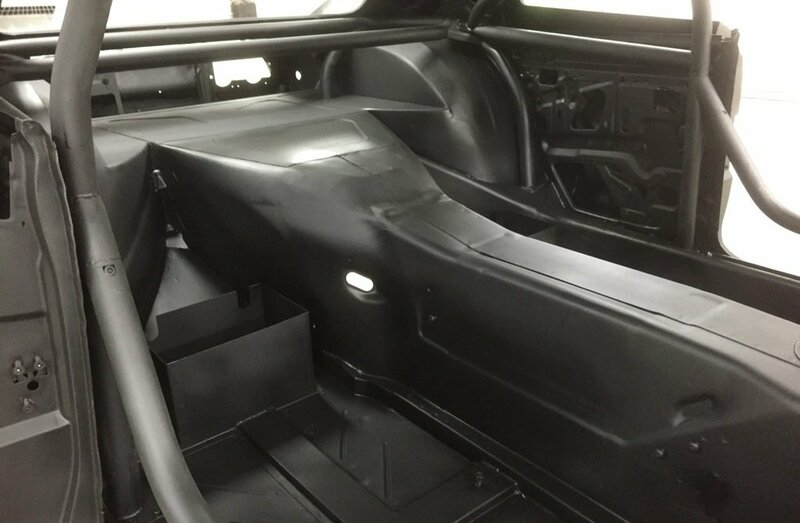 In team Powered By Johan`s Dodge Charger RTR project a ton of details creates the complete product, all from Johan´s own ideas of function and design. All detail design is also truly worked trough with high focus of function and performance. All you hobby builders out there know how easy it is to create hundred of hours on a tiny detail in your goal to reach your level of perfection. That´s also the case here at PbJ. If wanted, please share with us of your own car hobby details that more often than less, turns to hour eating monsters but often developes to what we want them to be. The is no short cut to perfection, just hard work! 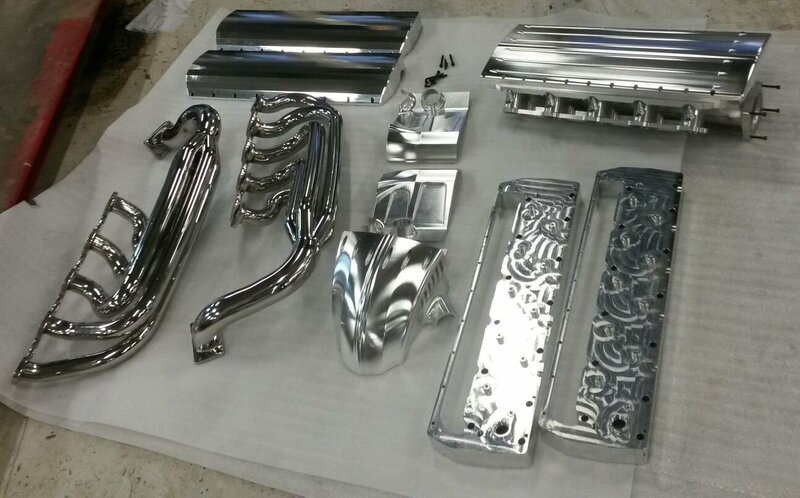 Below you see a few different details that will be or already are mounted on the car. 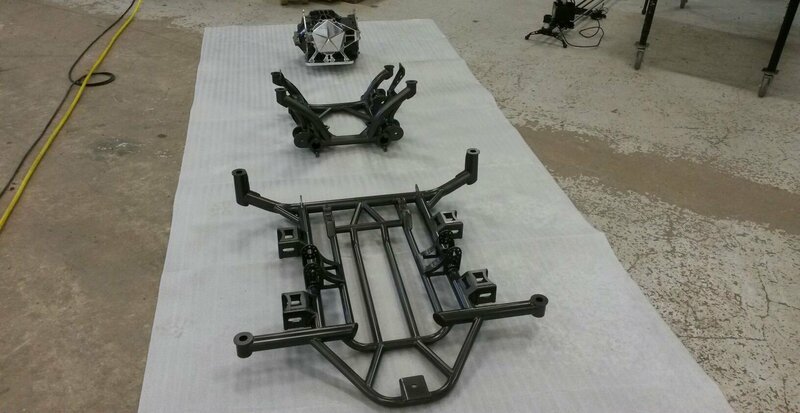 Above: subframes for both engine and powertrain for the RTR project.